The call to “Grow Christ’s Church Deep and Wide” in evangelism, discipleship, servanthood and diversity was adopted by the 2008 General Assembly and renewed by the 2010 General Assembly. 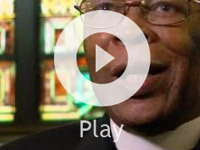 The newest video in the series tells the story of the Bedford Central Presbyterian Church and the Duryea Presbyterian Church in Brooklyn, N.Y., which discovered an exciting new way to grow Christ’s church deep and wide by sharing resources for ministry. Key among those resources are the church’s leaders, especially Ted Hickman, a financial management executive and an elder at the larger Bedford Central Church, who heard God’s call to go deeper into ministry by supplying Duryea’s pulpit. Hickman, aCommissioned Lay Pastor who graduated from the lay pastor program in the Presbytery of New York City, has been instrumental in helping to turn the small, fragile Duryea church around. Not only has the partnership energized and renewed both congregations, it has strengthened Christ’s witness in the community. “What captivated me about Ted Hickman is that he is a great example of the ‘dangerous elders’ that Gradye Parsons, Stated Clerk of the General Assembly, talks about,” said the Rev. Marcia Clark Myers, director of the PC(USA)’s Office of Vocation, “gifted, hard working, with a very inspiring presence. The six previously produced videos and a study guide, which serves as a companion to the video series, are available for download through the Grow Christ’s Church Deep and Wide Website.